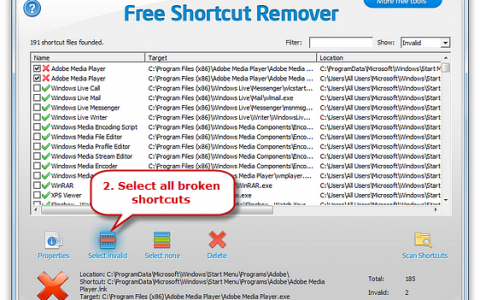 Locate and clear them all the broken shortcuts scattered in every corner of your computer in a click of a button to save your disk and system resource. 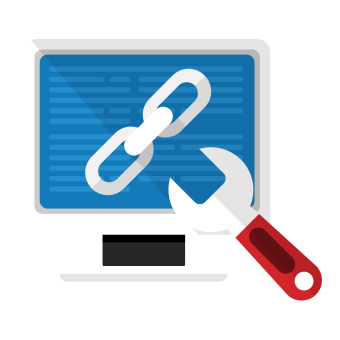 It scans your system, finds all the invalid shortcuts and reports back to you so that you can remove and fix them from your system as per your requirement. 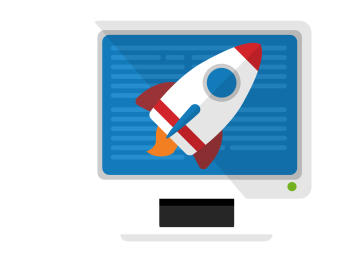 No more program lock-ups, slow performance, system freezes, shutdown and startup problems caused by incomplete shortcuts! 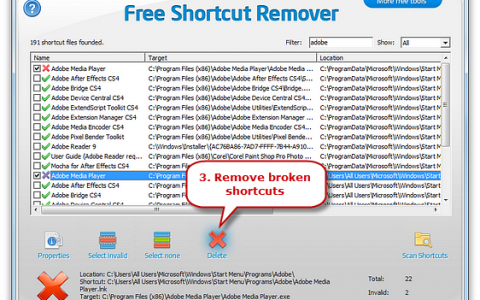 Free Shortcut Remover effectively removes all remnants of shortcut from your registry to speed up your computer performance. Meanwhile, it helps share the burden of the desktop system, avoiding your time-consuming & laborious shortcut searching for useless one among a bunch of desktop icons. 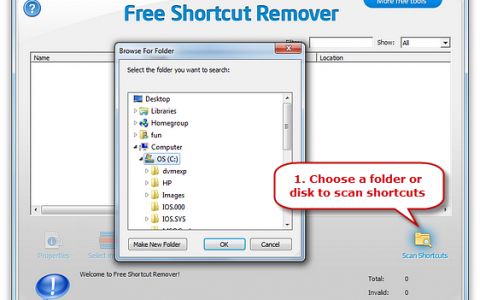 Free Shortcut Remover is capable of deleting recent history shortcuts. 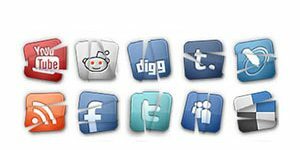 Within the Web browser, the History list of shortcuts to the URLs visited may be accessed in the History tool and others who use your computer could easily browse these sites to get your important information. 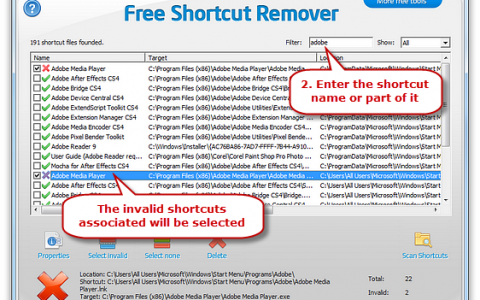 This free shortcut cleaner helps find recent history shortcuts in your history tool, media player or document software and delete them to protect your privacy. 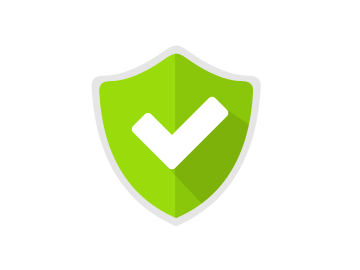 We are surprised at its marvelous performance in the testing process, displaying the targeted shortcuts in a fraction of the time which can be removed to tidy the PC and protect privacy. 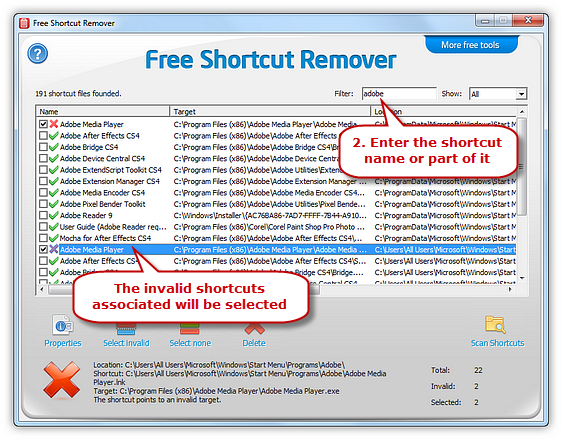 During our test, the shortcut remover software acted like a fabulous shortcut detector, finding all the shortcuts in the disk we designated under orders. And we are free to see the properties of any of them. 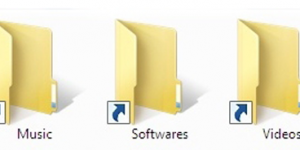 Many a time you must have come across a problem in your flash drive, external hard disk, or any other USB storage devices that some files and documents are converted to shortcuts. 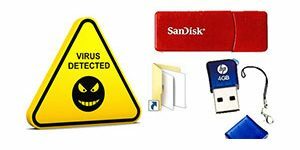 This virus mainly targets the folders and you often get frustrated when your important files are cut down to small shortcuts, also popularly referred to as the ‘Shortcut Virus’. 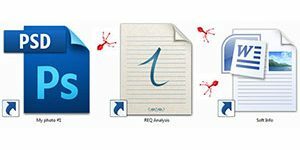 Free Shortcut Remover, as a shortcut virus remover, has the ability to find all of shortcut viruses and remove them to avoid danger. 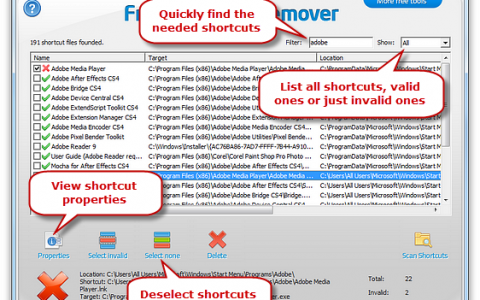 To find the exact wanted shortcuts more quickly, the advanced filter function of this free shortcut fixer is here for you, which allows to specify filtering criteria by inputting the part of or full name of the shortcuts. 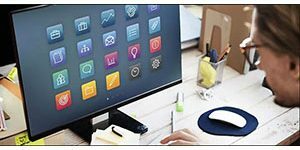 It supports displaying any specific group of shortcuts and hides the rest from viewing, thus enabling you to find and focus on the shortcuts that you actually need. 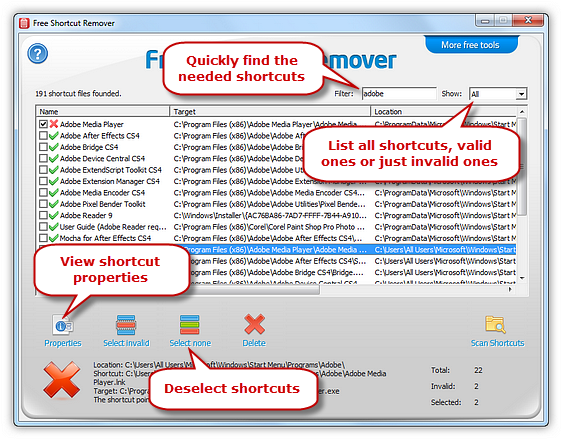 All shortcuts found to be invalid are displayed in an easy to understand manner – a list under four columns in the main window, in which you can clearly view the information of each shortcut. 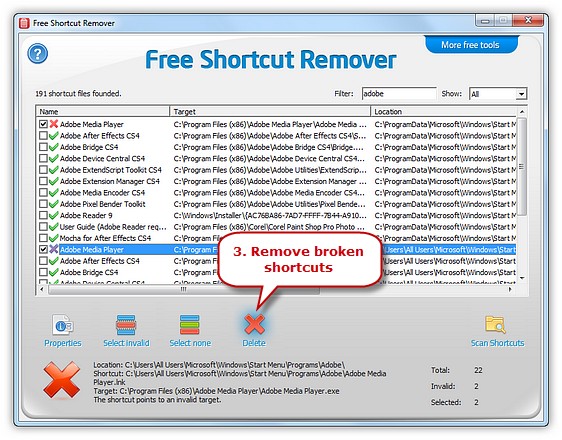 This shortcut remover features with single or batch deletion by checking or unchecking the small squares. 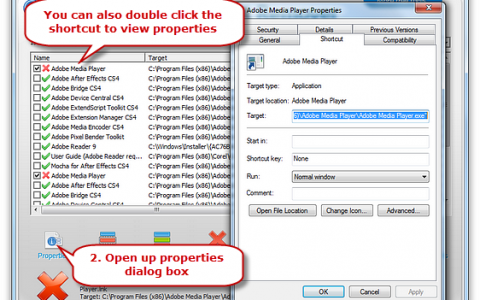 Besides, the properties of the selected shortcut are accessible in the pop-up property window. 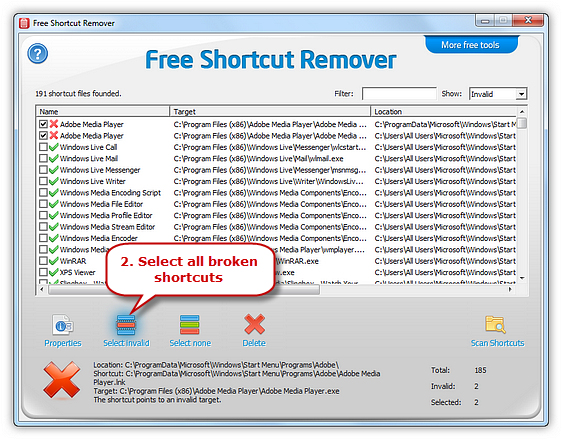 Free Shortcut Remover is 100% freeware designed to find and remove any wanted shortcuts, helping you better manage your shortcuts. It has ability to have your invalid or unneeded shortcuts removed to save your space and protect privacy. 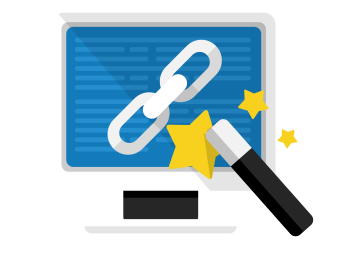 And users who download it are to enjoy life-long free update and technical support. No any hidden or extra charges! 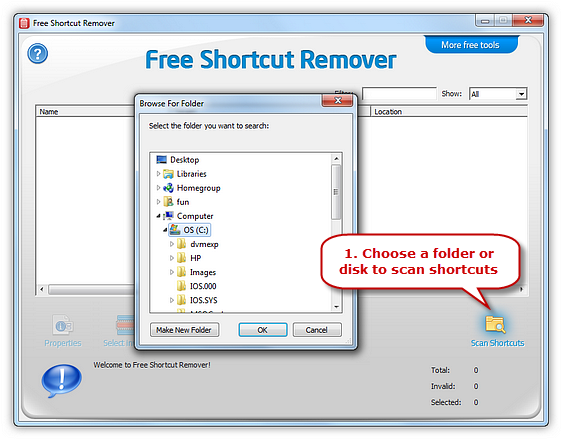 Solving your shortcut problem, Free Shortcut Remover is guaranteed not to contain any spyware, viruses or any other kind of malware. 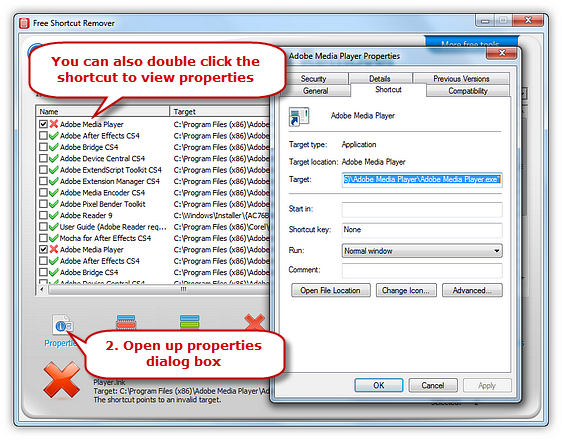 Developed as an easy-to-use free shortcut fixer, it has clean UI and is able to find & remove any shortcut you want with few clicks. Even if you are a novice, you’ll find no difficulty making it work at your command.